The Premier League announced it's next set of televised fixtures yesterday and Cardiff City were chosen for one more game. The home match against Brighton on Saturday November 10th will now kick off at 12:30pm and is live on Sky. 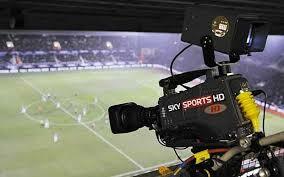 It's the 4th home fixture being broadcast by Sky. The games v Newcastle, Arsenal and Burnley are also being covered. So far no games have been selected by BT and no away games are being televised. So we can be fairly confident of the kick off times for City's games from August through to the end of November as all the TV games have been selected for that period. Games subject to change. August, September, October and November TV fixtures confirmed.